Since Jason was going to work until very late, I had dinner alone at home this evening. So, I made this very quick easy kurobuta pork belly "sukiyaki" dish with my tagine-style donabe ("Fukkura-san"). Once I have the ingredients prepped, it takes very shor time to cook! I got the relatively thick slickes of kurobuta pork belly. The aroma from simply sauteing the onion and the pork is really wonderful. After stirring the ingredients and adding the sauce (dashi, sake, soy sauce), I steam-fried with the lid on for about 5 minutes. 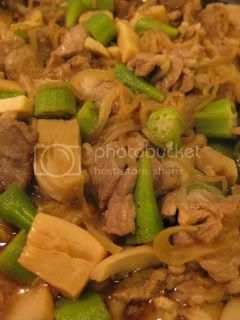 Just the simple ingredients out of the fridge...pork, onion, king oyster mushrooms, okra, konnyaku shirataki...made this great hearty dish. 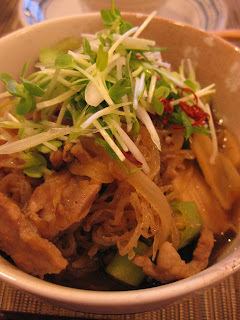 The basic recipe of my sukiyaki can be found on toiro's website. So, please check it out! 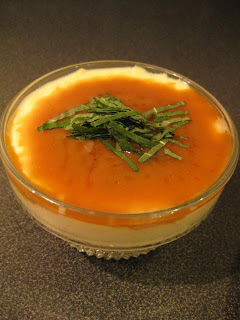 Instead of preparing a regular home-made tofu as I often do, I decided to make Tofu Chawanmushi (tofu custard) tonight. This is a real no brainer dish with only two ingredients. And, it always tastes so delicious!! 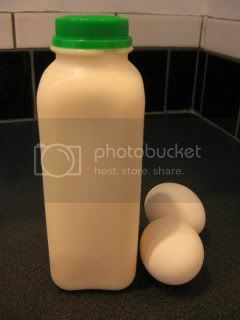 All you need are the 1 quart (500 ml) of pure soy milk (no additives) and 2 eggs. I used the premium-quality soy milk from Meiji Tofu. In a bowl, I first whisked the eggs until smooth, then added the soy milk, a little amount at a time, as I continued to whisk. 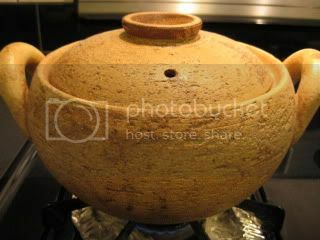 The mixture was devided into 4 heat-resistant cups and placed on a great of the hot donabe steamer. 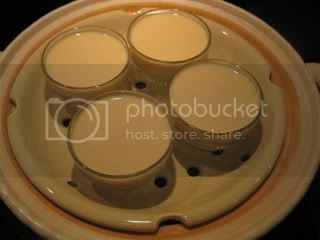 They were steamed over medium-low heat for about 30 minutes until the custard sets. Yes, this is my special Donabe Steamer. I'm sorry that it's been delayed, but this wonderful Donabe Steamer will be available on toiro's website soon (hopefully this fall). 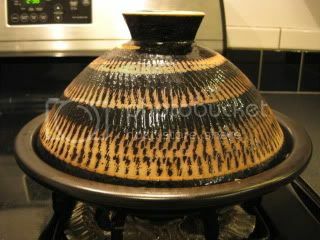 This donabe makes the best steaming dishes!! After letting the custard cool down a touch, I enjoyed it with thinly shredded shiso leaves and sesame sauce. You can eat it straight (with no seasoning), or with your choice of sauce/condiments, such as wasabi & soy sauce, ponzu, etc. The Tofu Chawanmushi is also good hot, warm, or cold. So wonderful! This is another wonderful summer appetizer. This dish with great with the ground pork, too. 1. In a large bowl, whisk together the ingredients for the sauce. 2. Grill the eggplants until very soft. Peel the skin immediately, cut into small pieces and add to the bowl. 3. Season the shrimp with salt and pepper. Heat the sesame oil in a pan over medium-high heat. 4. Saute the garlic until aromatic. Add the shrimp and saute until they are cooked through. 5. Deglaze with the sake, turn off the heat, and wait until it stops sizzling. 6. 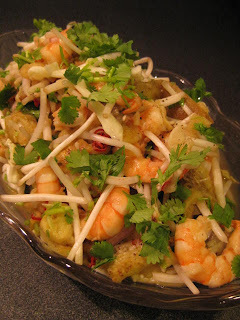 Add the shrimp (with the juice in the pan, if any), bean sprouts, and cilantro to the bowl. 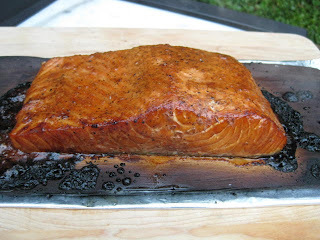 This past Sunday supper was the cedar plan salmon with our Santa Maria BBQ Grill. This simple dish always taste so wonderful. 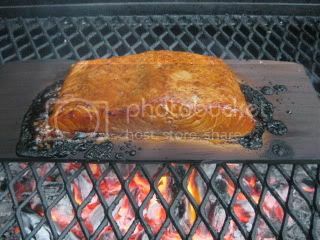 I soaked the cedar plank in the water all day before coating it with the olive oil and lightly toasted on the grill (both sides). 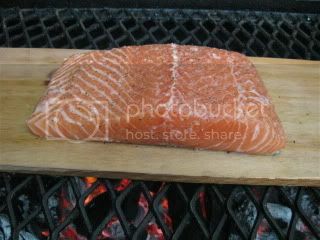 Then, I place the salmon filet on the smooth side of the plank. 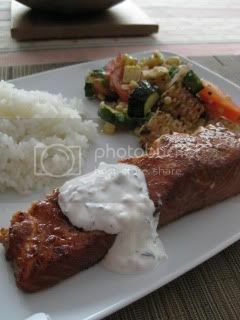 The salmon was simply seasoned with salt and pepper. I also sprinkled a little amount of brown sugar on the surface of the fish. 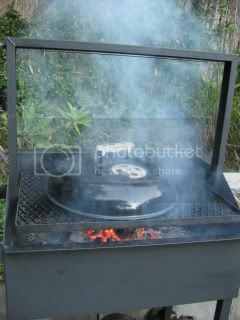 It's not to make it sweet, but to make the surface caramerized nicely with the smoke. After about 20 minutes with the lid on over the medium+ heat mesquite charcoal, the fish was ready! The fish was gorgeous! The outside had the nice light crispness and inside was so tender and moist. 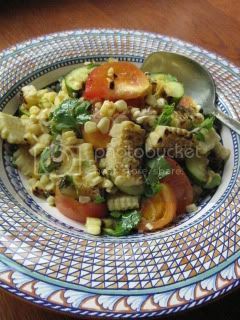 I served it with my quick sauce (creme fraiche, shiso, shallot, key lime juice, salt and pepper), and grilled corn and zucchini salad. And, of course, the donabe rice (cooked with "Kamado-san")! I have been making mostly brown rice lately, but for this Sunday supper, I cooked the simple white rice. 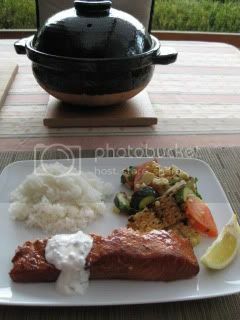 I served the rice with the cedar plank salmon and grilled corn salad (more about these dishes in my next entry). The rice cooked with the donabe (double-lid donabe rice cooker, "Kamado-san") is always so incredible! Each grain is so shiny and stands up on its own. The delicious simple homemade donabe rice makes me happy every day. For the plain white rice recipe with Kamado-san, please check out here. 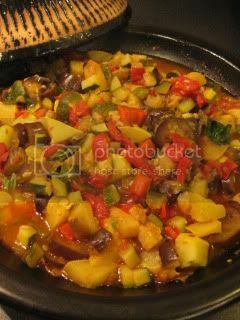 As I mentioned in my last post, I made the ratatouille with the tagine-style donabe ("Fukkura-san") again. Jason loves my ratatouille so much. 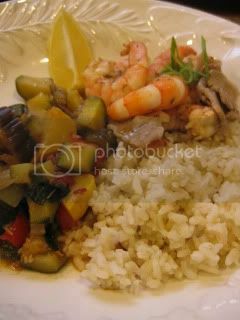 I first sauteed the onion and garlic with the olive oil, then added the red bell pepper, Japanese eggplant, zucchini (after eggplant is soft), yellow squash, tomatoes, and bayleaves one after another. The seasonings are simply salt, pepper, and a pinch of red pepper flakes. To finish, I added some freshly picked basil leaves. After about 20 minutes with the lid on over medium-heat, the wonderful ratatouille was ready. No water was added, but the dish comes out so juicy with all the moist from the vegetables. Large wedges of the tomatoes are almost completely broken down to become part of the sauce. This dish is just wonderful. It's my version of Mediterranean diet! 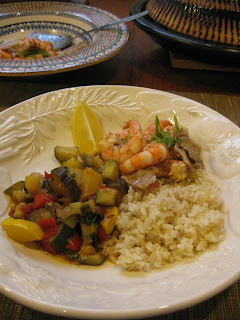 Ratatouille, pan-fried shrimp & pork belly, and brown rice. 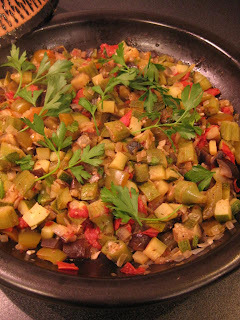 I posted the full recipe of the ratatouille of toiro's website. So, please check it out! 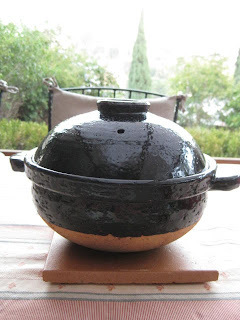 Regardless of the seasons, I use my donabe(s) all the time. 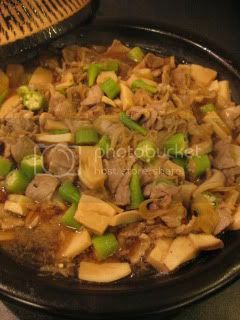 Donabe cooking keeps my life so healthy and so happy! I often use 2-3 different donabes in one meal. Different donabes fit different cooking purposes. I love just looking at my donabes lined up at our dining table. There are three donabes and I made 4 dishes last night. This is the only dish I didn't use a donabe to make. 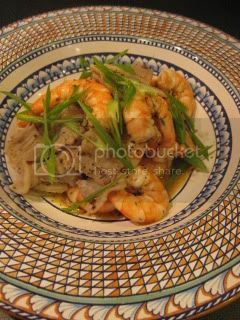 Pan-fried Shrimp and Pork Belly. I would've used the tagine for this, but I was already using it for the ratatouille. 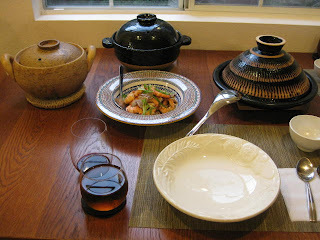 With the tagine, both the shrimp and pork would have had the better texture. 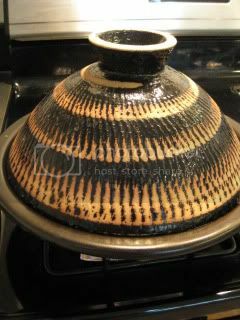 Well, should I get myself another tagine-style donabe? 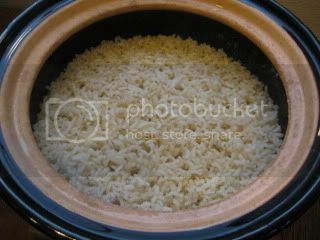 With the Double-lid donabe rice cooker, "Kamado-san", I made the brown rice. The texture was so fluffy and nice, as always. 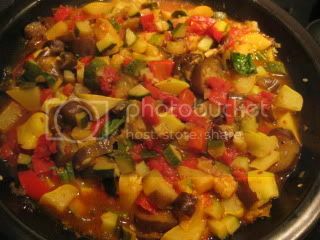 With the Tagine-style donabe, "Fukkura-san", I made ratatouille. 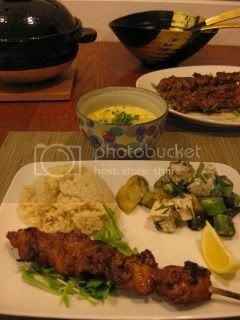 The dish turn out so juicy and flavorful without adding even a sprinkle of water! Since I still had a lot of leftover ingredients of summer vegetables (kabocha, okra, and Japanese eggplants), so with the Soup & Stew donabe, "Miso-shiru Nabe", I made the summer vegetable curry stew. This donabe really cooks the ingredients so deeply. The vegetables melted in my mouth and I could taste it with my whole body! I love donabe. Happy donabe life. The weather has been pretty cool this summer. It was almost chilly tonight, so I thought it would be a good idea to make a hot soup with the wonderful summer ingredients. It's a rich creamy soup, but this soup is not heavy at all! No heavy cream is used. The creamy texture comes from the soy milk and kabocha itself. As a guilty pleasure, I used the butter to saute the vegetables, but you can substitute it with the olive oil if you want to make it the complete vegan dish. I posted the full recipe on toiro's website very soon. So, please check it out. For this recipe, I used the soup & stew donabe, "Miso-shiru Nabe". This donabe cooks to the deep core of the kabocha, so once the broth starts simmering, it just continues to make the taste deeper and deeper. 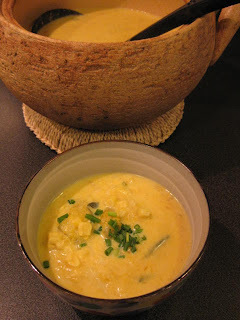 The kabocha and onions make the wonderfully creamy textue with the nice light crunch of the corn. We did it again and it was another big hit. 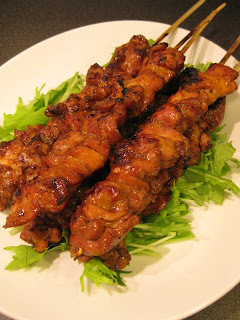 I marinated the chicken with the curry-soy sauce based sauce overnight, and made the skewers (yakitori). You can find the full recipe on my previous entry. The savory aroma of the soy sauce cooked over the mesquite charcoal, combined with the exotic cumin seeds and curry character makes this dish so irresistible! 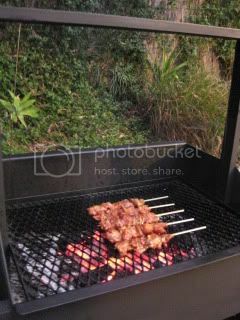 I also kept the marinade sauce in the shallow rectangular pan, so that I could dip the skewers in the sauce as I grill them. We served the yakitori with the brown rice cooked with Kamado-san (double-lid rice cooker donabe). When I have the leftover chicken and brown rice, it's also great to make the Yakitori Don (yakitori rice bowl)! Wines from another wine dinner in our patio. Four of us opened 5 bottles. 2007 Cesani, Vernacccia di San Gimignano (Toscana)...Perfect wine to start the evening. While many other producers make boring Vernaccia, Cesani does the artisan-style food-friendly wine with this grape. Floral aroma, pear, honey, herb, on the palate. Wonderfully fresh. 2005 Philippe Colin, Chassagne-Montrachet 1er Cru "Les Chaumees"...From north-western end of C-M. Very ripe impression. Mineral, brioche, fresh citrus, tropical. Beautifully balanced. 1988 Charles Mortet, Gevrey-Chambertin, "Clos Prieur"...Denis Mortet's father's lablel. The wine was made before Denis took over the domaine, but I heard it was actually Denis making most of Charles' wines in the late 80's. After 15 minutes in the glass, the wine started to open up with the sweet fruit character. Earth, spice, dry cherry, etc. Showing nicely. 1987 Domaine du Clos Frantin (Domaine Bichot), Clos de Vougeot...Clos Frantin is one of the two best domaines Bichot owns (the other is Long-Depaquit (Chablis). While Mortet's Gevrey-Chambertin showed the sweet fruit, this wine tasted drier (in terms of fruit intensity). Leather, coffee, animal, dark berry. Long finish. Excellent. 2003 Domaine Annick Parent, Volnay 1er Cru, "Fremiets"...Still very young and very ripe. Annick took over the estate from her father, Jean. Now, I hear she has retired, too. Terroir-oriented wine. Ripe fruit, earth, spice, long finish. 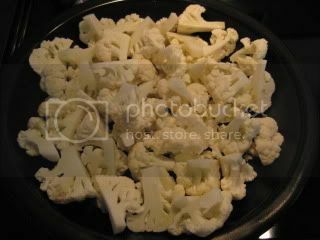 I made a salad with the cauliflower and some summer ingredients. The key to this dish is that I steam-fried the cauliflower with the tagine-style donabe ("Fukkura-san"), instead of boiling. By cooking the cauliflower with this donabe, the intense steam-fry brings out the nice flavor of it and the texture becomes really wonderful. 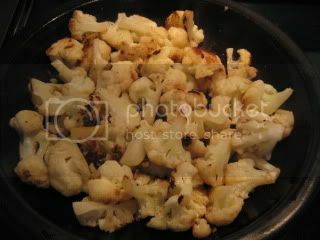 With the olive oil, I first cooked the cauliflower with the floret sides down over medium-high heat without the lid. Once the floret sides is nicely browned, i sauteed them and poured 1/2 cup of water, closed the lid, and steam-fried until the cauliflower is cooked through (about 5 minutes). Turn off the heat and let rest (with the lid on) for 5-10 minutes. Here's the full recipe. Combine the ingredients for the dressing and whisk well. Cook the cauliflower florets as described in the above. Grill the corn and scrape kernels off the cob with a knife. 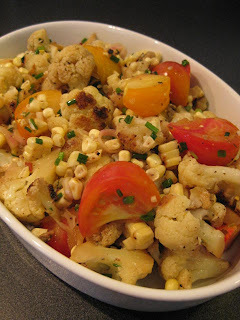 While the cauliflower florets are still hot, toss them with the dressing. Add the corn, herloom tomatoes, and chives, and toss again. The donabe steam-fried cauliflower really makes the difference! Ratatouille tastes so great in the summertime. 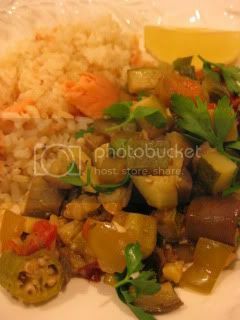 To serve with my simple salted salmon brown rice, I cooked the ratatouille with the tagine-style donabe, "Fukkura-san". 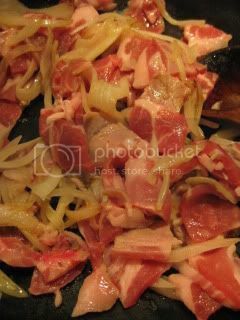 With the far-infrared radiation and the outstanding steaming effects, I can make this simple dish so delicious without adding any liquid (besides the olive oil to saute the vegetables)! 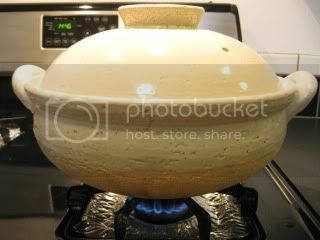 It's the dome-shaped porous lid (looks like a cute hat) which distributes the heat evenly to every ingredient, while traps all the moist coming out of each ingredient inside of the lid and gives the steaming effect. Ingredients: Onion, bell pepper, Japanese eggplant, zucchini, tomatoes, okra, olive oil, red chili flakes, herb d'Provence, basil, salt and pepper. I ran out of the red (or yellow) bell pepper, so I used the green bell pepper only this time. 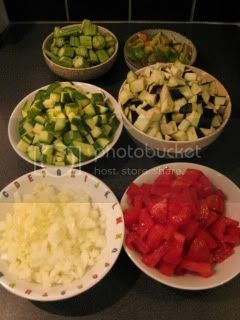 Saute the onion with a tablespoon of the olive oil first, then add each of the bell pepper, eggplant, and zucchini individually, after each ingredient is added and sauteed for a couple of minutes. Add the tomatoes, okra, a pinch of dry chili flakes, 1/2 tablespoon of herb d'Provence. Season with salt and pepper. Stir. Close with the lid and cook over medium heat for 15 minutes. Stir sometimes. Before finishing, add the chopped basil leaves and toss again. Garnish with parsley. I could taste the whole summer in my mouth. I served the ratatouille with the lemon wedges. My donabe did it again...it was a wonderful dinner! 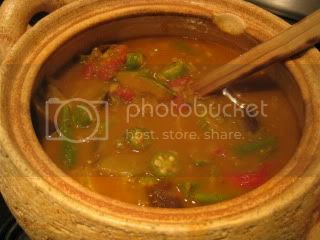 You can find more info about the tagine-style donabe, "Fukkura-san", on toiro's website.